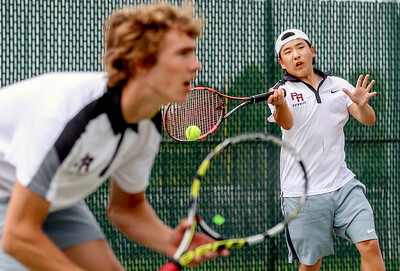 Sarah Nader- snader@shawmedia.com Prairie Ridge's James Lasak (left) and Andrew Park return a ball while competing against Boylan during a doubles match at Saturday's Crystal Lake Central Invitational May 9, 2015. 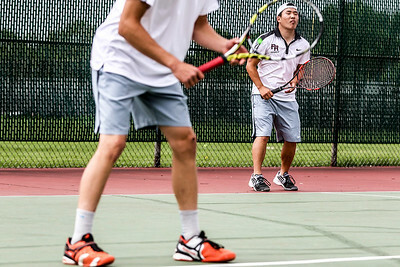 Sarah Nader- snader@shawmedia.com Prairie Ridge's Andrew Park waits for the serve while competing in a doubles match against Boylan at Saturday's Crystal Lake Central Invitational May 9, 2015. 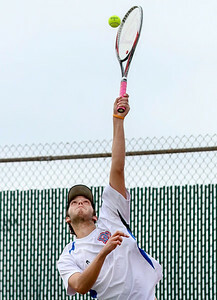 Sarah Nader- snader@shawmedia.com Dundee-Crown's Chad Wagner serves to Boylan while competing in a doubles match at Saturday's Crystal Lake Central Invitational May 9, 2015. 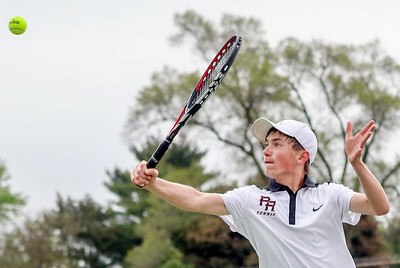 Sarah Nader- snader@shawmedia.com Prairie Ridge's Patrick Nasta returns returns a ball to Fremd competing in a singles match at Saturday's Crystal Lake Central Invitational May 9, 2015. 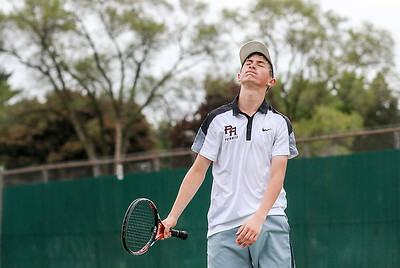 Sarah Nader- snader@shawmedia.com Prairie Ridge's Patrick Nasta reacts while competing in a singles match against Fremd at Saturday's Crystal Lake Central Invitational May 9, 2015. 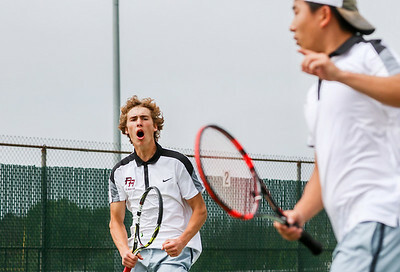 Sarah Nader- snader@shawmedia.com Prairie Ridge's James Lasak (left) and Andrew Park reacts to a point while competing in a doubles match against Boylan at Saturday's Crystal Lake Central Invitational May 9, 2015. Sarah Nader- snader@shawmedia.com Dundee-Crown's Nicklas Nelson returns a serve while competing in a doubles match against Boylan at Saturday's Crystal Lake Central Invitational May 9, 2015. 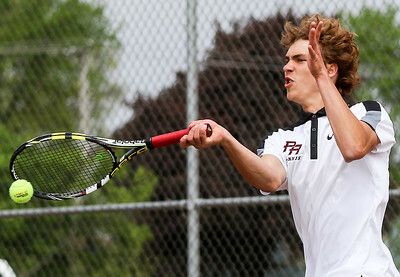 Sarah Nader- snader@shawmedia.com Prairie Ridge's James Lasak returns a ball while competing in a doubles match against Boylan at Saturday's Crystal Lake Central Invitational May 9, 2015. 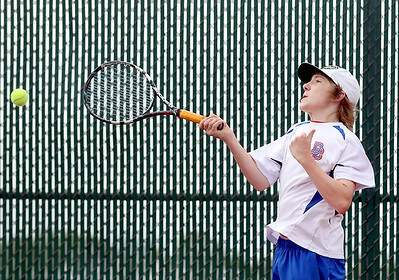 Sarah Nader- snader@shawmedia.com Crystal Lake Central's Ethan St. John returns a ball while competing in a singles match at Saturday's Crystal Lake Central Invitational May 9, 2015. 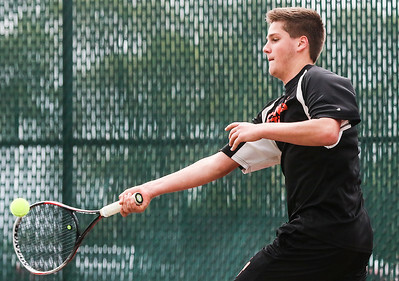 Crystal Lake Central's Ethan St. John returns a ball while competing in a singles match at Saturday's Crystal Lake Central Invitational May 9, 2015.